Hello! Today I was wearing another monochrome look, but more casual than the last one. I had on a striped black & white sweater, with black leather pants, ankle boots and white Chloé bag. Olá! Hoje estava a vestir outro look monocromático, mas mais descontraído do que o último. 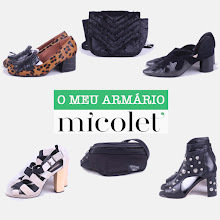 Estava a usar uma camisola às riscas pretas e brancas, umas calças pretas de pele, uns botins e uma carteira branca da Chloé. amazing look. love it from head to toe! followed you ok GFC and FB! You look beautiful.Monochrome look really suits you. i'm a huge fan of the leather pants! Love this look, chic and trendy!! Thanks for your comment and following my blog. Follow you now on GFC. I keep seeing stripes everywhere on blogs lately. The more I see the more I get the urge to get some stripy items for myself! I am following back on both Bloglovin and GFC. Beautiful and classy look! Love it, really! Loving the black and white trend for spring! Thanks for the sweet comment on my blog and I followed you guys back :) Keep on being fabulous! Thank you so much for your comment!! I follow you via GFC, bloglovin and facebook!! Thanks for your comment!! Love your blog, Im following you! Three beautiful girls in one place - great idea to your blog!! Thank you so much for your comment and following my blog! I have just do the same! Ooi, muito obrigada pelo comentário querido! gostei muito do blog de vocês, também!! Acho demais como vocês conseguem criar um look sensacional com marcas fast-fashion!!!! beautiful casual look! Love it! great look!!!! We love the sweater!!!! thanks for the love sweethearts, I'm following you on bloglovin' and facebook! Great look, I love that jumper!! i would kill for a celine bag!!! I like your blog, I follow you. follow me? So great! I love, love that bag. You look so effortlessly chic here! Love the monochrome pieces <3 Would you like to follow each other? Ive been dying to find a nice pair of leather pants and you completely found them. The look brings edgyness and chic together in such a stylish way. Love this! I love the shirt and your blog!